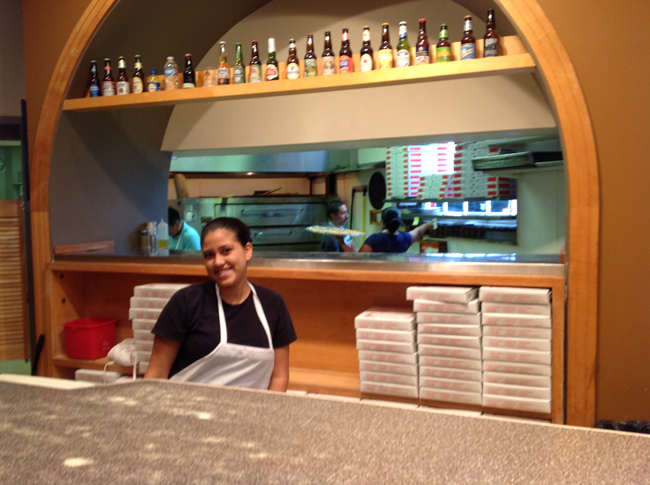 Christian’s in Charlottesville Virginia’s Downtown Walking Mall – Vegan Pizza Just Doesn’t Get Better Than This! For arguably the best pizza in the Tri-Cities area you need look no farther than Scratch Brick Oven. 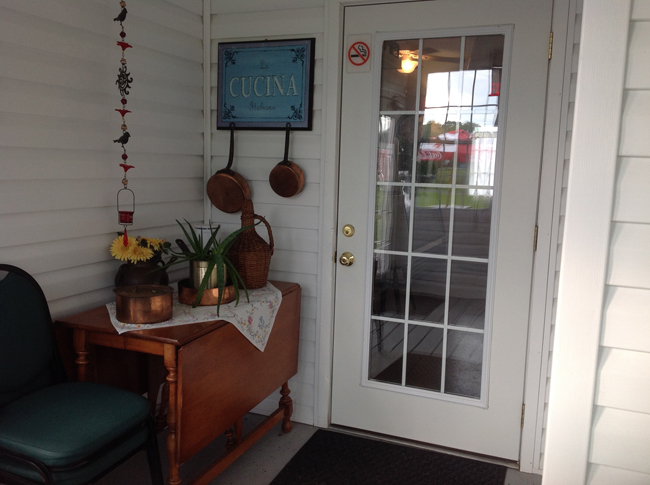 Located in Johnson City’s historic North Roan Street district, in a restored 1900’s home on the corner of Unaka and Roan, it is only two easy blocks from Interstate 26 in Johnson City, TN. Fourteen years ago Rich and I moved to Butler, Tennessee, a small burg tucked away in the mountains of Appalachia with a population of less than 800. 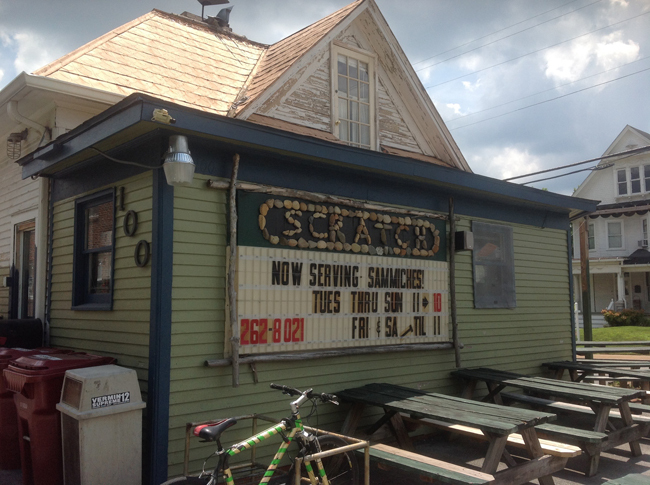 The best place to eat closed down years ago. It was a gas station/restaurant where, from a row of booths sandwiched between the gas pumps in the front and the garage in the rear of the store, one could enjoy a chili dog and at the same time shop for spark plugs or tampons while breathing in oil and gas fumes. A lot has changed since we first arrived. Now vegans, we would not longer consider eating a chili dog and the restaurants that served them are long gone. There is neither a grocery store nor a gas station in the area. 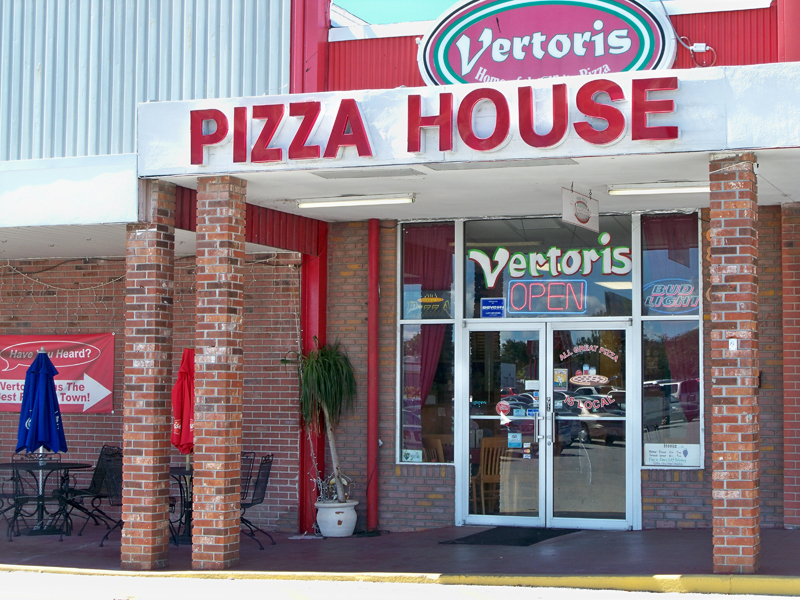 Vertoris Pizza House of Bradenton, FL Offers Healthy Vegan Menu! A brick oven pizza place with a completely separate vegan menu? Yes… and it includes appetizers, entrees, pizza and pasta. North of Sarasota, Vertoris is a quick jog off I-75. Take exit 217, then west on 53rd Ave, south on 14th St. West and it’s in the third block. Vertori’s offers your standard dough (this is the one we tried — delicious) as well as 9-grain and gluten-free options prepared thin or hand-tossed. The 9-grain option will add $1-$3 to your pizza, depending on the size you order, and will be welcomed by those seeking a whole foods option. Vetoris goes all out to accommodate the dietary needs of their customers as described in this clip taken directly from their website. 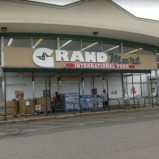 Grand Mart International Food is a mecca of exotic fruits and vegetables. I didn’t see anything in the way of organics but they certainly had a wide variety of unusual produce, much of which I was entirely unfamiliar. What I did recognize were the isles of ethnic foods and spices. Most prevalent were the spice blends which comes in handy when you are experimenting with various cuisines and would like to sample the flavors of a region without investing in all the individual herbs and spices contained in particular regional blends. Available were also rices, beans, noodles and other fare native to many regional cuisines, including Asian, Indian and Hispanic to mention only a few.